The simple green awning has been around for longer than most spots in Astoria. The big, glowing neon letters have seen residents grow older as they passed in and out of the doors. 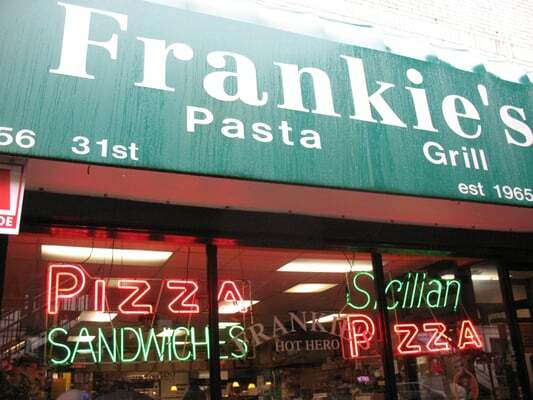 For 50 years, Frankie’s has stood in place on 31st street, serving residents with warm, fresh, amazing pizza. RIP Larusso and now Frankie’s Pizza. This has been a devastating few months in Astoria. HOW WILL I NOURISH MYSELF…??????? Frankie’s will be missed. We’re sad to see another neighborhood staple go.